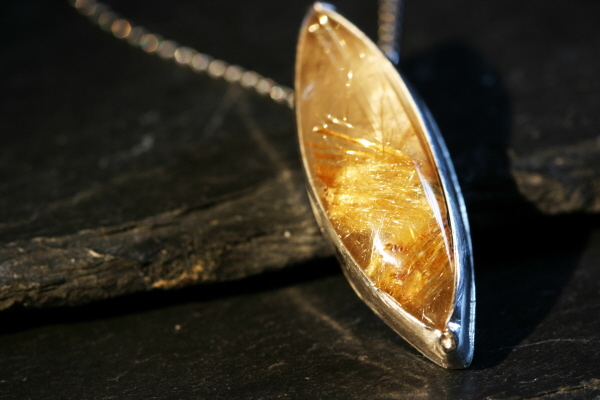 I have made this necklace with a gorgeous Rutilated Quartz cabochon. the cabochon measures 2cm top to bottom - and has been skilfully set with a custom made sterling silver setting. 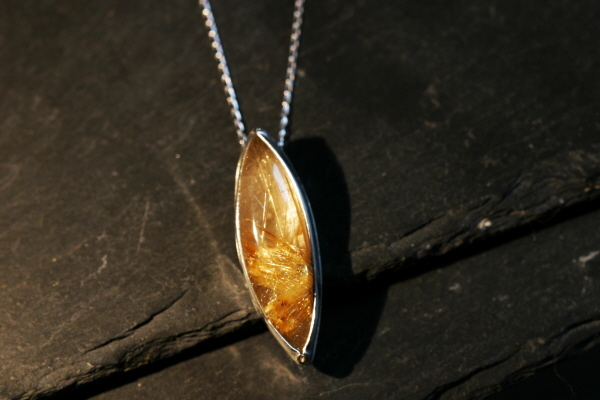 I have sourced a stunning little marquise shaped cabochon- a gorgeous tapered oval shape. You will need to trust me on this. BOXED in a stunning black velvet lined jewellery box - and make a truly unique gift!